To disrupt that which Gupta was upta. 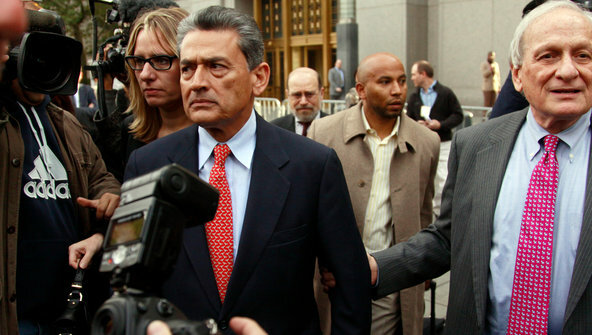 Federal prosecutors have indicted Goldman Sachs director Rajat Gupta on charges of engaging in an insider trading scheme with hedge fund manager Raj Rajaratnam, who has already been convicted. In a novel twist, the prosecution acknowledges that Mr. Gupta did not directly profit from the tips he provided on Goldman Sachs and P&G (of which he is also a director); rather, Mr. Gupta's motivation was seen to be the cultivation of influence and favor with his far richer friend, with whom he also invested. For his part, Mr. Gupta found it serendipitous that his indictment coincided with Diwali, the Indian "Festival of Lights" and start of the new year, as he felt that this would offer a measure of divine protection. Regardless of the outcome of this case, may all those kindling the festival lights have a Happy Diwali and a prosperous New Year! LOL! Another very clever one!